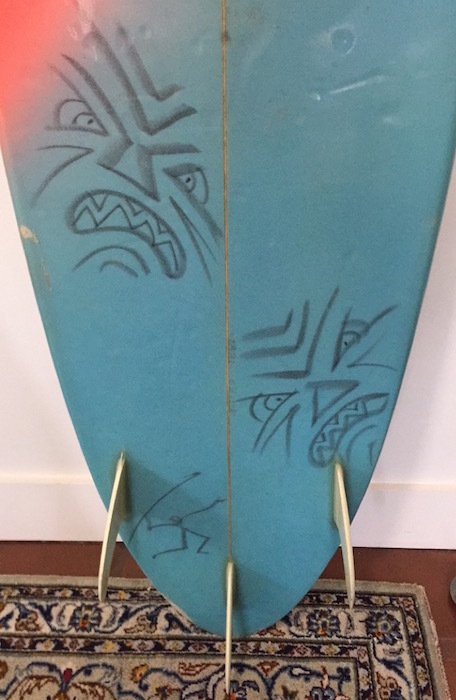 6’4 Gordon & Smith round pin thruster shaped in the early/mid 1980’s with orange/blue airbrush fade featuring unique tribal artwork and rare Gordon & Smith laminates. This is the first G&S board we’ve come across without having the typical “G&S” decals they are known for. 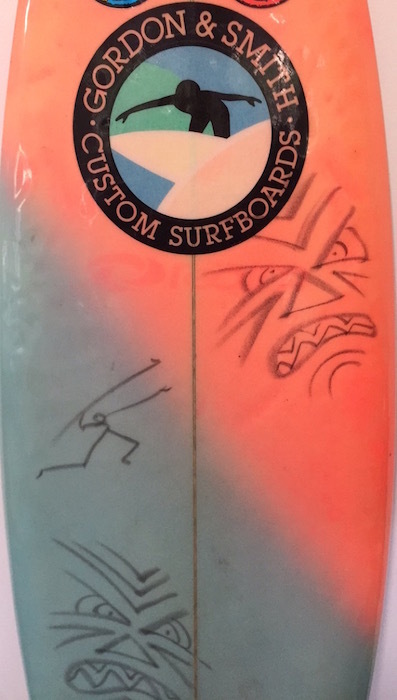 Very cool 1980s board with color and artwork! Sadly, Larry Gordon of Gordon & Smith passed away on New Years Day, 2016 at the age of 76. 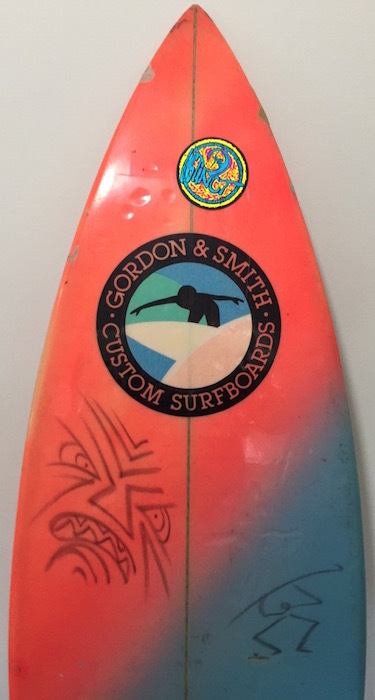 Gordon & Smith: Low key, persevering surfboard and surf-accessories manufacturer from San Diego’s Pacific Beach, California. Larry Gordon was born (1939) near Chicago, Illinois, and developed asthma, which forced his family to move to Southern California when Gordon was three. He began bodysurfing and mat surfing at age 13, and learned to surf while in high school. In the summer of 1959, while attending San Diego State College as a chemistry major, Gordon and another local surfer named Floyd Smith began building boards in Smith’s garage—their resin and fiberglas supplier was Gordon Plastics, a San Diego business cofounded by Larry’s father. 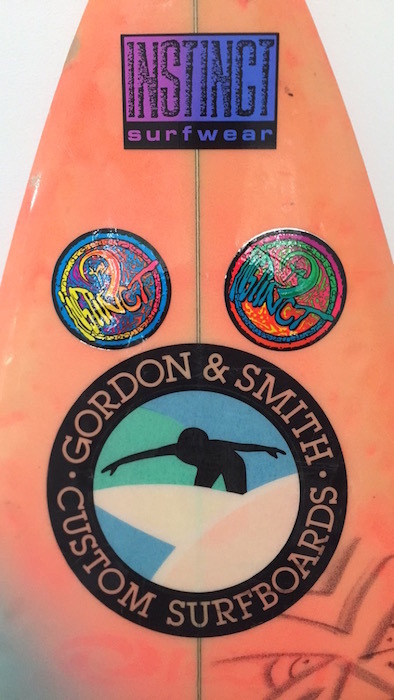 Within two years, Gordon & Smith Surfboards (better known as G&S) became the board of choice in San Diego. Smith had taken a silk-screening class in high school, and in 1961, as a promo effort, he invited young surfers to bring in white T-shirts, upon which he screened the G&S logo, free of charge. Smith has been credited as inventing the surfer T-shirt, although Velzy-Jacobs Surfboards may have beat him to the punch. 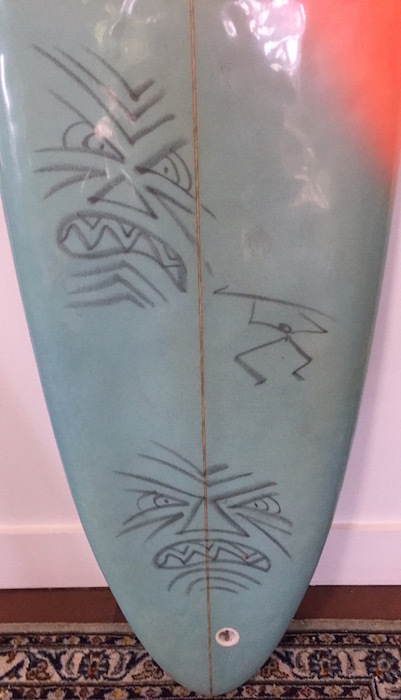 Some of America’s best surfers in the ’60s and ’70s were affiliated with G&S, most noticeably Mike Hynson and Skip Frye, as well as Barry Kanaiaupuni, Butch Van Artsdalen, Dale Dobson, Tony Staples, and Charlie Kuhn. 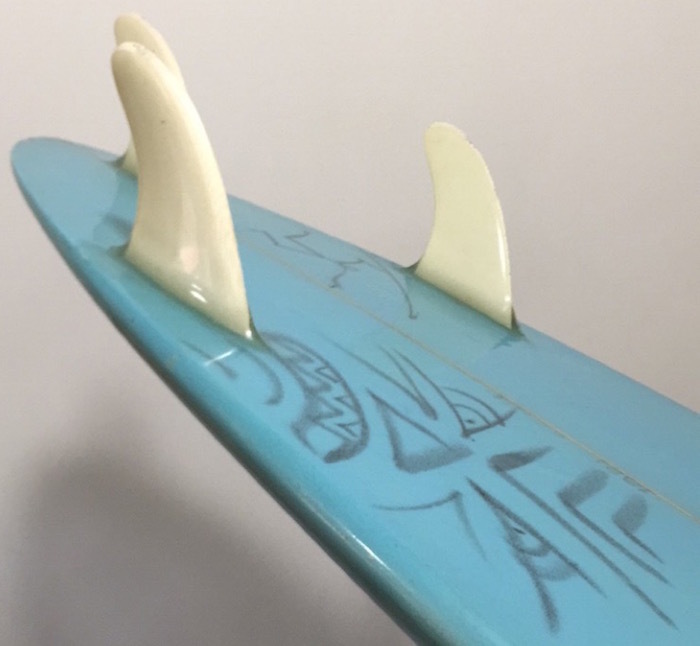 Hynson’s G&S Red Fin model was one of the most advanced boards of the preshortboard era; the full-templated, soft-railed G&S Modern Machine, introduced in 1974, was the “fun board” prototype. Rusty Preisendorfer, Mike Eaton, and four-time world surfing champion Mark Richards are among those who shaped boards under the G&S label. Under Gordon’s guidance (Smith founded Gordon & Smith Australia in 1965, then sold his interest in the company in ’71), G&S flourished from era to era, and by the late ’80s the company was one of the world’s biggest surfboard-accessories-surfwear manufacturers. Following the early-’90s recession, however, Gordon reduced the operation to boards only, and later licensed the G&S name for skateboards and clothes. Eric and Debbie Gordon, Larry’s children, re-consolidated all facets of the G&S brand in 2013. Gordon & Smith: One Long Ride, a history of the company, written by Gordon, was published in 2014. Gordon died on New Year’s Day, 2016, at age 76, from complications related to Parkinson’s disease.